If you are just starting your business, this conference will give you a head start in the right direction, help you avoid costly mistakes and time-wasters AND allow you to reach your goals faster and with less headache. If you are already in business, this conference will provide tools to revitalize, refocus and/or rekey your business and assist you in getting more out of your business by working smarter. Join us online or by phone, Sunday, October 13, 2013, for this exciting and informative event. 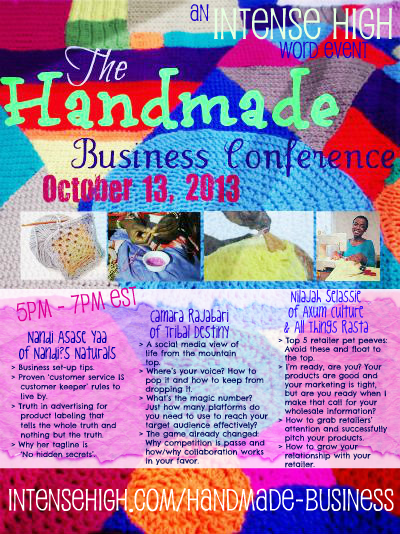 Nandi, founder of Nandi's Naturals, will be one of the guest panelists. Register Now!